Cholesterol: You might know it as some evil “fat” that clogs your arteries and causes heart disease. But recent research has unveiled that healthy levels of certain kinds of cholesterol are actually good for you. In this article, we take a fresh look at HDL cholesterol and LDL cholesterol – two poorly understood lipid biomarkers monitored by InsideTracker. Then, we offer strategies on how you can optimize your cholesterol levels using your InsideTracker data along with research-proven interventions. You’re a fit person. You exercise daily. You eat healthfully. You’re actually pretty excited about getting your blood test results back…until you skim down and see the numbers on your lipid profiles. You’re not the first fitness buff to be shocked by your cholesterol numbers. In fact, at InsideTracker, we frequently see HDL/LDL ratios out of whack all the time… even in professional athletes! Believe it or not, consistent exercise without a strategized diet doesn’t do much to decrease your LDL or total cholesterol [1, 2, 3]. Weird, right? Your first instinct may be to shrug these results off. Let’s be honest: you're not exactly worried about having a heart attack anytime soon. We hear you. But trust us when we say that understanding these two little biomarkers are a big deal in optimizing your health, your athletic performance, and preventing an array of illnesses. But first, you need a little background information on the two cholesterol lipoproteins measured by InsideTracker: HDL & LDL. So listen up! You probably already know what cholesterol is. It’s that waxy, fatty substance that catches a lot of negative press for its role in causing cardiovascular disease. While elevated levels of cholesterol can be harmful, cholesterol is essential for many important functions inside of our bodies. It helps form cell membranes, synthesize vitamin D and certain hormones, and forms bile secretions necessary for digestion . One way to get cholesterol is from your diet, but it is also produced endogenously, i.e. inside your body. Too much circulating cholesterol can build up in the arteries, cause the development of plaque, and (you know the story) lead to heart disease . In order for cholesterol to move throughout your body, it needs to attach itself to these little molecules called lipoproteins. There are four types of lipoproteins, but we are just going to talk about two of them in this article: low-density lipoprotein (LDL) and high-density lipoprotein (HDL). But what makes one of these “good” and the other “bad” for your body? As we mentioned before, cholesterol is produced in your liver. It is then picked up and transported throughout your blood stream via low-density lipoproteins (LDL) . LDL molecules move slowly through the blood stream and are especially vulnerable to oxidizing agents known as “free radicals”. Once oxidized, LDL becomes an unstable and dangerous beast. It will bury itself into the walls of your arteries, triggering an inflammatory response. White blood cells, called macrophages, rush to the fatty deposit to gobble up the oxidized LDL. The LDL-laden cells become so full of fats that they develop a foamy appearance. Formation of these “foam cells” is an indicator of early atherosclerosis, and monitoring levels of LDL every 3-6 months using InsideTracker can help you prevent its onset . So, how do you stop that nasty process of oxidation from taking place? Here’s the bad news: you really can’t. Antioxidants (like vitamins A, C, and E) can help, but the best way to prevent the build-up of oxidized LDL is to reduce the amount of circulating LDL in your blood . Since we already know that exercise alone has a small impact on your LDL, optimizing your nutrition is the way to go in preventing oxidation. More on this later... but first let’s first talk about the good cholesterol: HDL! As with any story, there is always a good guy. With that, we introduce high-density lipoprotein, also known as “HDL”. Because it is a lipoprotein, HDL also helps transport cholesterol around the body. But unlike LDL, HDL has the important task of collecting cholesterol that is not being used by tissues and bringing it back to the liver to be repurposed or destroyed. HDL counteracts the effects of LDL by bringing cholesterol back to the liver and thus preventing LDL from accumulating and causing plaque build-up. Therefore, the more HDL you have, the less likely you are to have excessive cholesterol floating around and building up to dangerous levels in your arteries . This action is the main reason why HDL is considered to be protective against cardiovascular disease. What’s even cooler is that HDL may also have anti-inflammatory effects. In a recent issue of Nature Immunology, De Nardo et al , state that HDL is responsible for down-regulating the inflammatory actions of macrophages (the immune cells we mentioned earlier). So cool! Finally, recent research also suggests that optimal levels of HD-cholesterol have an inverse association with certain forms of cancer and may prevent its onset [11, 12]. More research is needed to investigate the mechanisms involved with HDL cholesterol, as well as its many benefits. But most scientists agree: optimal HDL levels are paramount to optimal health. What’s the Moral of the Cholesterol Story? We hope you’re starting to get the picture on why these lipoproteins are a big deal. As it turns out, improving cardiovascular health is immensely important in optimizing fitness performance, maintaining wellness, and preventing the onset of cardiovascular disease. So how can you be sure your HDL/LDL are at their optimal levels for peak performance? Below we break down your steps to success. Get your blood tested. If you haven’t recently, getting your blood analyzed with InsideTracker is your first step to optimal health and performance. You can learn more about how this works by watching our demo. This provides a helpful baseline to establish where you are and where you need to go in regards to your HDL/LDL ratio. Using InsideTracker also allows you to monitor your progress as you implement strategies specifically designed for you... such as focus foods! Finally, you can also use the data with your primary care physician to see if you need to use cholesterol-lowering drugs, such as statins. Focus on unsaturated fats. Monounsaturated fat (like nuts, vegetable oils and avocados) and polyunsaturated fats have been shown to increase your HDL . 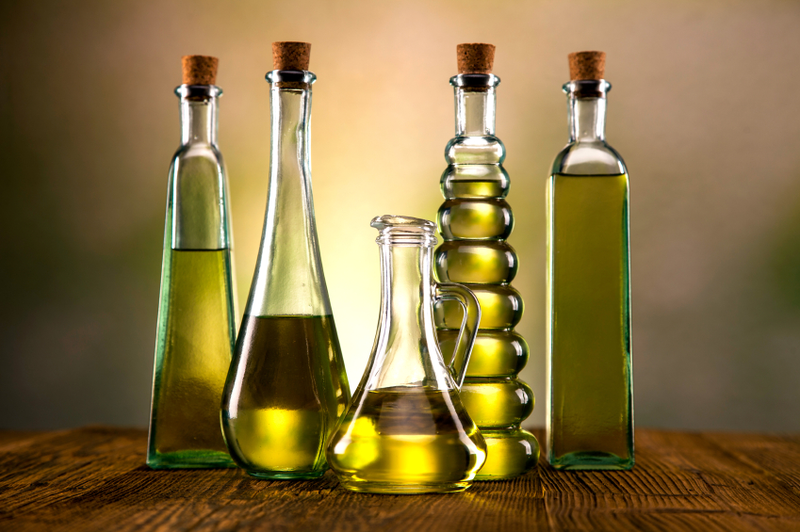 Omega-3 fatty acids—a certain type of polyunsaturated fat—seem to be especially HDL-boosting. Omega-3s also have anti-inflammatory abilities, which is good news for athletes. In other words, these guys are extra awesome if you eat them within reasonable limits. Excellent sources of omega-3 include: oily fish (such as salmon and herring), flax seed and walnuts . Eat more anti-oxidants. Recall earlier we talked about those nasty little free radicals that wreak havoc on our circulating LDL? Antioxidants can prevent this from happening by running interference on the oxidizing agents. A surprising source of antioxidants? Kale! While blueberries tend to get all the of the good press, Tom Brady's staple, kale, is an anti-oxidizing superstar that contains beta-carotene, vitamin C and vitamin A and other awesome antioxidants . Other foods containing high levels antioxidants include kidney beans, artichoke hearts, and cranberries . You can find more examples that fit for you in the food basket and focus foods section. If you haven’t worked these foods into your meal plan yet, you’re missing out on some important cholesterol-optimizing benefits! Eat whole grains. Yep, you still need to keep eating your oatmeal and quinoa. As an athlete, carbohydrates will continue to be your main source of fuel for intense exercise. 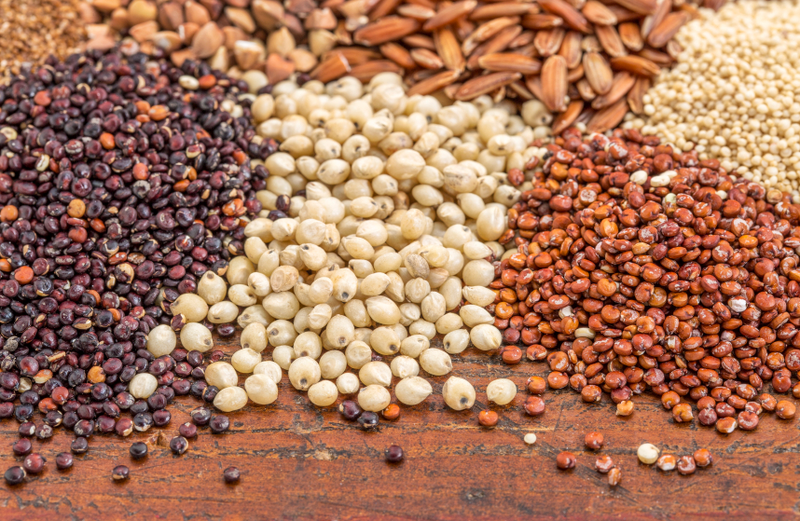 Whole grains are associated with higher levels of HDL and are essential to keeping your circulating cholesterol at a healthy level . We hope you this article has helped you to understand the importance of LDL and HDL cholesterol and the roles they plan in optimizing your health and performance. What’s next? First, determine your baseline of these 2 biomarkers along with 28 other crucial biomarkers by getting your blood tested with InsideTracker. Based on your results, we will provide you with your own personalized recommendations for improved health and cardiovascular wellness and help you monitor your progress. We also highly recommend using the data to consult with your personal physician about any interventions she or he may suggest. But first: watch our demo to see how you can get started on your path to optimization today. Kelley GA, Kelley KS. Aerobic exercise and lipids and lipoproteins in men: a meta-analysis of randomized controlled trials. J Mens Health Gend. 2006;3:61-70. Kelley GA, Kelley KS, Tran ZV. Aerobic exercise and lipids and lipoproteins in women: a meta-analysis of randomized controlled trials. J Womens Health (Larchmt). 2004;13:1148-1164. Ohvo-Rekilä, Henna, et al. "Cholesterol interactions with phospholipids in membranes." Progress in lipid research 41.1 (2002): 66-97. Centers for Disease Control and Prevention (CDC. "Vital signs: prevalence, treatment, and control of high levels of low-density lipoprotein cholesterol--United States, 1999-2002 and 2005-200." MMWR. Morbidity and mortality weekly report 60.4 (2011): 109. Navab M., et al. (2004). The oxidation hypothesis of atherogenesis: The role of oxidized phospholipids and HDL. Journal of lipid research. 45(6):993-1007. Jafri, Haseeb, Alawi A. Alsheikh-Ali, and Richard H. Karas. "Baseline and on-treatment high-density lipoprotein cholesterol and the risk of cancer in randomized controlled trials of lipid-altering therapy." Journal of the American College of Cardiology 55.25 (2010): 2846-2854. Zhao, Wenhui, et al. "HDL Cholesterol and Cancer Risk Among Patients With Type 2 Diabetes." Diabetes care (2014): DC_140523. Mensink R, Zock P, Kester A, Katan M. (2013). Effects of dietary fatty acids and carbohydrates on the ratio of serum total to HDL cholesterol and on serum lipids and apolipoproteins: a meta-analysis of 60 controlled trials. American Journal of Clinical Nutrition;77:1146-55. Navas-Carretero, Santiago, et al. (2009) An oily fish diet increases insulin sensitivity compared to a red meat diet in young iron-deficient women. British journal of nutrition 102.04: 546-553.